A Toronto disciplinary panel has stripped pathologist Dr Charles Smith of his medical licence, ordering him also to appear in person for a reprimand. Smith did not attend the hearing last week, but pleaded no contest to incompetence and disgraceful conduct through his lawyer. He did not fight the penalty imposed by the panel. “Dr Smith expressed opinions… that were either contrary to, or not supported by, the evidence,” Silver told last week’s hearing, reading from an agreed statement of facts. “These failures compromised the administration of justice.” These opinions were “overly dogmatic” as well as “speculative”, she said. He gave “misleading” evidence and “acted as an advocate” rather than offering unbiased opinions. Smith’s lawyer, Jane Langford, told the panel that her client would plead no contest and a statement of facts would be filed. The panel accepted the facts and made a finding of incompetence and professional misconduct. Smith enjoyed an outstanding reputation as Canada’s leading pathologist when it came to infant deaths. Several complaints about his work had little impact. However, eight years ago, his professional career began to unravel. In 2005, Ontario’s chief coroner commissioned a review of 44 autopsies Smith had conducted. Thirteen had resulted in criminal charges and convictions, and the review found serious problems in half of those cases. 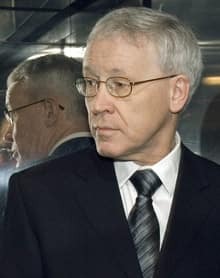 Smith agreed to restrictions on his medical licence pending the outcome of the public investigation led by Justice Stephen Goudge, who published a condemning 1,000 page report in October 2008. During his testimony before the inquiry, Smith claimed his errors were not intentional.